The onboard camera has been redesigned to use a 1-inch 20- megapixel CMOS sensor. A custom engineered lens made up of eight elements is arranged in seven groups, it is the first DJI camera to use a mechanical shutter, eliminating rolling shutter distortion which can occur when taking images of fast moving subjects or when flying at high speed. In effect, it is as powerful as many traditional ground cameras. More powerful video processing supports H.264 4K videos at 60fps or H.265 4K at 30fps, both with a 100Mbps bitrate. Advanced sensors and processors ensure everything is captured with more image detail and the image data needed for advanced postproduction. Sensor size is more important to image quality than the number of pixels because a larger sensor captures more information in every pixel, improving dynamic range, signal-to-noise ratio, and low light performance. The 1-inch 20-megapixel CMOS sensor in the Phantom 4 Pro V2.0 is almost four times the size of the Phantom 4's 1/2.3in sensor. It uses larger pixels and has a maximum ISO of 12800 as well as increased contrast. It is good enough for images to be used immediately, while also capturing enough detail for advanced post-processing. An enhanced video processing system allows video to be captured in cinema and production optimized DCI 4K/60 (4096 x 2160/60fps) at a bitrate of 100Mbps, enabling you to get high- resolution slow motion shots. The Phantom 4 Pro V2.0 also supports the H.265 video codec (Maximum resolution 4096X2160/30fps). For a given bitrate, H.265 doubles the amount of image processing as H.264, resulting in significantly enhanced image quality. Record in the high dynamic range D-log mode to make the most of this image data for color grading. The resolution and contrast of a lens is critical to image quality, because only a quality lens can capture sharp, vivid photos at high resolutions. The brand new Phantom 4 Pro V2.0 camera has an aerial optimized F2.8 wide-angle lens with a 24mm equivalent focal length. It features eight elements - 2 aspherical - arranged in seven groups that fit into a smaller, more compact frame. Its images are consistently detailed with low distortion and low dispersion, ensuring that photos and videos are sharp and vivid. For the first time ever with a DJI camera, MTF (Modulation Transfer Function) results have been made public, so people can get a better understanding of lens performance. Aerial imaging is not only used to capture landscapes; it brings new perspectives to everything from action scenes to motor racing. Capturing objects moving at high speed has always been a challenge for flying cameras using an electronic shutter. This is why the Phantom 4 Pro V2.0 is the first DJI Phantom to use a mechanical shutter and a large-aperture prime lens. A mechanical shutter with a max speed of 1/2000s eliminates rolling shutter distortion which can occur when taking images of fast moving subjects or when flying at high speed. The electronic shutter has also been improved with a max shutter speed of 1/8000 seconds, and a new Burst Mode shoot capable of shooting 14 fps at 20 megapixels to catch the perfect moment. FlightAutonomy is expanded with an additional set of high- resolution stereo vision sensors placed at the rear in addition to the pair placed at the front as well as infrared sensing systems placed on the left and right sides. This network creates a total of 5-direction of obstacle sensing and 4-direction of obstacle avoidance, protecting the Phantom 4 Pro V2.0 from more obstacles and giving filmmakers the confidence to capture more complex images. Three sets of dual vision sensors form a 6-camera navigation system that works constantly to calculate the relative speed and distance between the aircraft and an object. Using this network of forward, rearward and downward vision sensors, the Phantom 4 Pro V2.0 is able to hover precisely in places without GPS when taking off indoors, or on balconies, or even when flying through windows with minimal pilot control. In the unlikely event that front and downward sensors are unable to operate, the aircraft can still hover in place using the rear stereo vision system. The Phantom 4 Pro V2.0 also is able to fly in complex environments at a flight speed of up to 31 mph (50kph) while avoiding obstacles in its path. In Narrow Sensing Mode, the Phantom 4 Pro V2.0 narrows its sensing scope enabling it to see in more detail and fly through small spaces. The Phantom 4 Pro V2.0 is the first DJI aircraft to use an infrared sensing system. Placed on the left, and right sides of the aircraft, these measure the distance between the aircraft and any obstacles using infrared 3D scanning. When in Beginner Mode and Tripod Mode, these sensors have a horizontal field of view of 70° and a vertical field of view of 20°, providing a wide view of the scene to the sides of the Phantom, and a maximum range of 23ft (7m). Traditional ultrasonic sensors only have a detection range of 3-5m and may be confused when affected by propeller vibration. The infrared sensing system is able to sense larger areas and measure the distance between the aircraft, identifying the closest objects accurately while avoiding interference, providing more reliable sensing and protection. 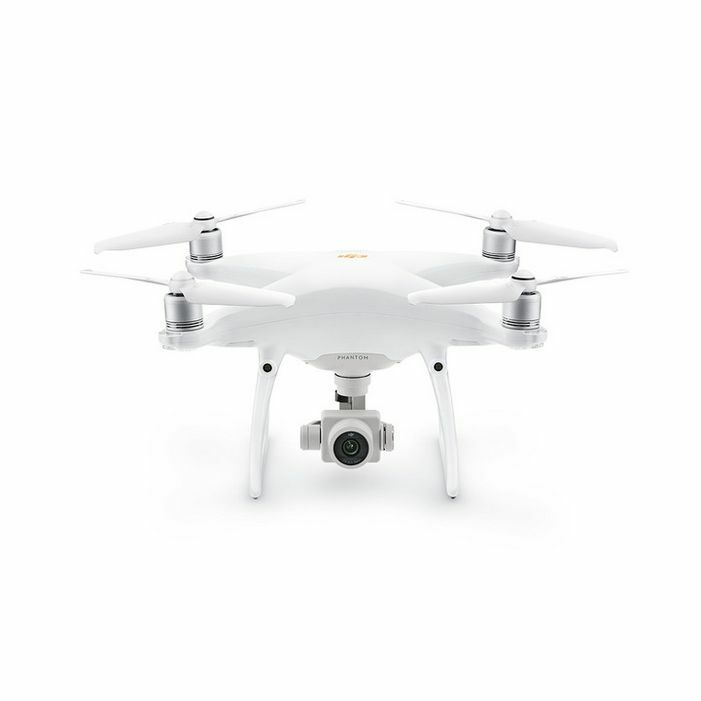 The Phantom 4 Pro V2.0's remote controller uses OcuSync video transmission*, which employs time-division multiplexing technology to send control signal and receive video signal simultaneously. When the controller is powered on, the OcuSync system scans for the frequency band with lowest interference and switches accordingly to maintain clear transmission. Also, thanks to OcuSync, the Phantom 4 Pro V2.0 wirelessly connects to DJI Goggles. Free from cable constraints, you can enjoy exciting FPV flight at speeds of up to 72kph (45mph) in S- mode. A 5.5in 1080p screen integrated with the Phantom 4 Pro V2.0 offers 1000 cd/m2 of brightness, more than twice as bright as conventional smart devices. It makes bright, vivid colors easily visible in direct sunlight. As the DJI GO 4 app is built into the screen, a mobile device is not required, simplifying pre-flight preparations. 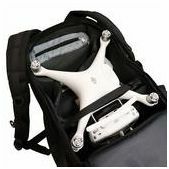 Integration of an HDMI port, Micro SD card slot, microphone, embedded loudspeaker, and Wi-Fi connection allow images to be edited inside DJI GO 4 to be shared almost instantly. Its five-hour battery life makes the Phantom 4 Pro V2.0 a complete aerial imaging solution. The Phantom 4 Pro V2.0 wirelessly connects to DJI Goggles, putting you directly in the heart of the action with dual LTPS displays that offer a high-quality 1080p live camera view with an 85° FOV. Connected via OcuSync, users can experience fast and clear FPV flight with incredibly low latency. Plus, controlling your Phantom with DJI Goggles is more intuitive than ever. Just enable Head Tracking, which allows you to move the aircraft or gimbal simply by turning your head. New aerodynamic 9455S propellers and new FOC ESC drivers offer improved noise control and sinusoidal current for increased stability. Aircraft noise has been reduced by up to 4dB* (60%) for quieter, more enjoyable flights.? Professional aerial imaging benefits from longer flight times. The Phantom 4 Pro V2.0 has a maximum flight time of 30 minutes, providing more time in the air to capture the perfect shot. The DJI GO 4 app shows battery lifetime and calculates remaining flight times according to distance traveled and more. It will give alerts when it reaches a minimum safe amount required for a safe journey back to the takeoff point. An advanced battery management system is also in place to prevent overcharging and over draining. When placed in longer term storage, batteries will discharge power to maintain good health.? Lens	FOV 84¡ã 8.8 mm/24 mm (35 mm format equivalent) f/2.8 - f/11 auto focus at 1 m - ? Recommended Devices	iOS:iPhone 5s, iPhone SE, iPhone 6, iPhone 6 Plus, iPhone 6s, iPhone 6s Plus, iPhone 7, iPhone 7 Plus, iPad Air, iPad Air Wi-Fi Cellular, iPad mini 2, iPad mini 2 Wi-Fi Cellular, iPad Air 2, iPad Air 2 Wi-Fi Cellular, iPad mini 3, iPad mini 3 Wi-Fi Cellular, iPad mini 4 and iPad mini 4 Wi-Fi Cellular. Android:Samsung S7 edge, Samsung S7, Samsung S6, Samsung S5, Samsung NOTE4, Samsung NOTE3, Samsung tabs 705c, Ascend Mate 9, Ascend Mate 7, Huawei Honor 8, Huawei P8 Max, Vivo X7, Xiaomi 5, MI 3, Google Nexus 6p, Nexus 9, Google Nexus 7 II, LG V20, Sony Xperia Z3, Smartisan T1.